Home Neil's Picks 12 Fathom Lures: Getting the job done. 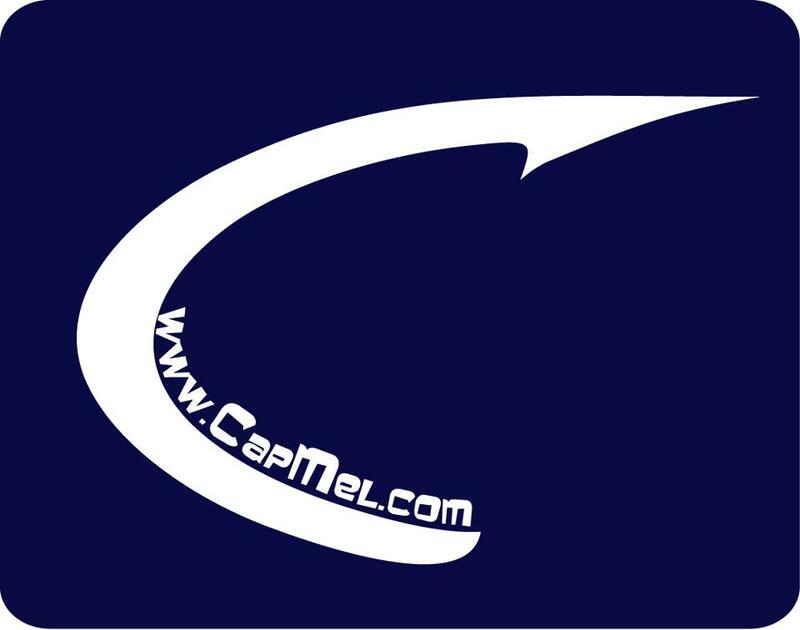 2011 Sponsor of the Captain Mel Trout & Redfish Classic!! Thank you 12 Fathom lures, Craig and Mike Bayhi! 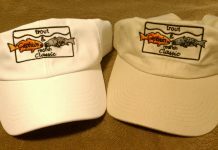 Producto Lure took over the 12 Fathom lure company in 2007. 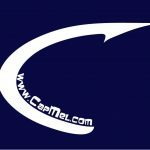 The companies are family owned by Mike and Craig Bayhi of Sanford, FL. The Producto Lure side of their tackle business is strong in the freshwater plastic lure industry. 12 Fathom is regaining strong popularity in the Florida fishing scene as anglers realize that there is a great line of “fishin’ ammunition” designed and produced for them by this company. Rigged on a 1/8-ounce to 1/4-ounce jighead, this is a fantastic lure that is one of the most popular styles in the entire product line. A similar shape to so many of the baitfishes that exist in most regions, the slender body style gives this lure a tremendous natural action. 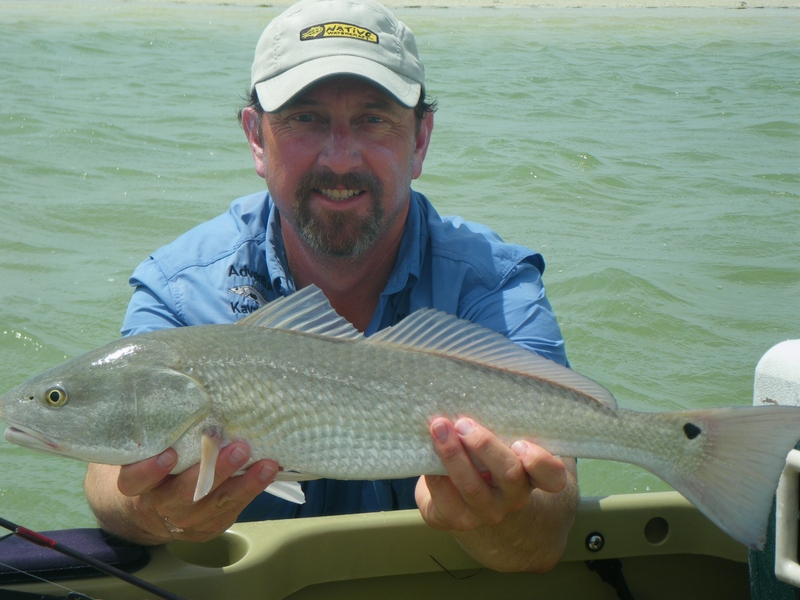 The 3″ mullet works wonderfully on redfish when moved very slowly with the rod tip “up” and a smooth “sweeping” action. With the 3/16-ounce 12 Fathom “Sparkie” jighead, all you need to do is cast and reel the lure straight back to get strikes. The 4″ Fat Sam is a great snook and tarpon bait. A bigger tail with considerably more girth, this bait is a more substantial “meal” than the 3-inch mullet and will tempt those really big predators. Make your “mullet match your mullet.” The 3-inch mullet catch more “large” snook when the “finger mullet” in area waters are two to three inches. If the snook are dining on larger “mullet”, give them the 4-inch 12 Fathom mullet! A “shrimp like” plastic lure, the SlamR is offered in 5 and 6-inch tails. It is a lure that I describe as “Aqua Dynamic”. The word “aerodynamic” describes something that flies through the air smoothly. The “Aqua Dynamic” SlamR with a flattened-out forked-tail can suspend in the water by the angler, particularly in current and “eased down into the strike zone” by manipulating the lure by raising and dropping the rod tip. The Aqua Dynamic performance also enables anglers to work this lure in shallower water without snagging up to the seagrass. Snook, redfish, flounder, drum and trout readily hammer the 5-inch SlamR. The 6-inch version is a great cobia and snook bait but don’t be surprised if the larger redfish, drum and trout jump all over this one. The grooved body on the SlamR allows easy “weedless” rigging of the lure. Try it with Captain Joe’s “Edje” jighead for all the aforementioned species. In very shallow water, use this lure with a 1/16-ounce Edje for redfish and backwater snook. For deeper water or stronger current, move up to a heavier jighead. The SlamR accounts for a majority of the snook caught on my kayak-fishing charters. If the summertime snook weren’t striking the moving lure, letting it settle down to the bottom to lay on the grass resulted in snook eating this bait when it wasn’t moving, emulating shrimp hiding in the seagrass. Effective when worked “slow and smooth”, give this lure a little jab to make it dance when it is approaching “ambush locations.” The SlamR is a very nice “jerkbait” plastic and moves enticingly with that added action. This lure will entice large trout, redfish and snook with almost no manipulation of the lure. With a “cast and straight retrieve” the buzz tail gives the lure all the natural action that’s needed to trigger strikes. The sickle tail design creates turbulence in the water behind the lure. The design of this lure makes it enter the water quietly and less likely to spook even the “moodiest” of fish lurking in the shallows. In those tight spots where you want to get a cast way back into a corner, this lure will often get hit hard immediately after it hits the surface of the water. These lures “skip” pretty well in those tight spots. Rigged up weightless it can be worked as a topwater lure. With both the Buzz Tail Shad and the SlamR “rigged weedless”, it is easier to get the lure out of the branches on errant or over-aggressive casts. This is an additional benefit of that setup that repels weeds from catching on the hook, keeping the lure on the move and bumping off obstructions with little chance of the hook point hanging up on an oyster, rock or submerged tree limb. The buzz tail is available in 4.5 and 6-inch tails. This lure is almost the identical size and shape of the scaled sardines that inhabit Florida waters On a 1/8-ounce Sparkie or Standup jighead, this lure will trick redfish, snook and trout as well as just about anything else that sees it. For speckled trout, this lure can be worked faster in the deep water with a ¼-ounce jighead while still staying down in the Strike Zone. The 3″ shad in bright yellow on a ¼ ounce jighead is a great pompano setup. The 4-inch “Tiger Shad” version of the shad baits is one of the “Old School” 12 Fathom plastic baits. Most species will strike that lure, but many anglers have this one with them for their tarpon trips. This lure looks like a shrimp or a crab to the fish that attack it. Shallow water trout and tailing redfish will pounce on this lure when you work it by them. This lure caught 40 and 43-inch snook in 2008. Rig it on a 1/16-ounce jighead. A “creature bait”, this is also one to keep handy to toss to tailing redfish and black drum. This unique crustacean bait needs to be worked slowly, but its track record speaks for itself. 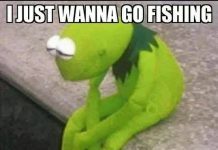 Want to make it a better casting and swimming bait? Try trimming the small legs of the sides of this bait. The Gambini is the curly tail in the Series. This tail is another “no brainer” cast and retrieve jig. 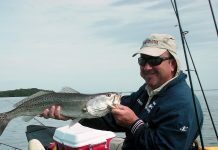 If speckled trout is your game, try out Gambini and watch him “put the hit” on those fish. Use the ¼-ounce weighted jigheads for trout and the 1/8-ounce option if you want to toss these ‘grubs’ at fish in the really shallow waters. “Bugsy” is a 4-inch bait with a flat “beaver” tail in the back. Bump Busgy along the bottom for redfish, flounder and speckled trout. The newest to the Saltwater Series is the Snitch. The special thing about the Snitch is the versatility of the lure. Use the lure “as is” or tear off different fins and flippers from this bait to your liking. The dual curl tails at the rear of this bait make it swim straight. Crept or hopped on the bottom, gamefish will mistake the Snitch for a crab. Bass anglers take note: The Snitch, like the Buzz Tail Shad is a great “crossover” bait and works as well in freshwater as it does in salt. Give these lures a test drive and you will definitely make them part of your arsenal of fishing lures. Check for the lures at a store near you or order directly from 12 Fathom. They are available in individual packages or in 50 or 100 count bags directly from 12 Fathom.